Professor Webb researches and models the sensorimotor capabilities of insects. This ranges from simple reflexive behaviours such as the phonotaxis of crickets, to more complex capabilities such as multimodal integration, navigation and learning. 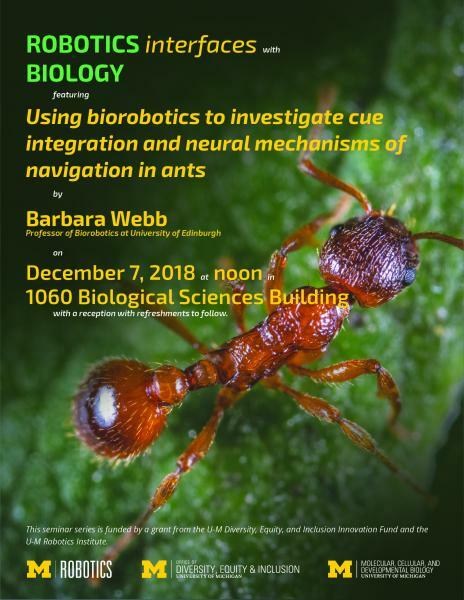 Her lab carries out behavioral experiments on insects, but principally works on computational models of the underlying neural mechanisms, which are often embedded on robot hardware.